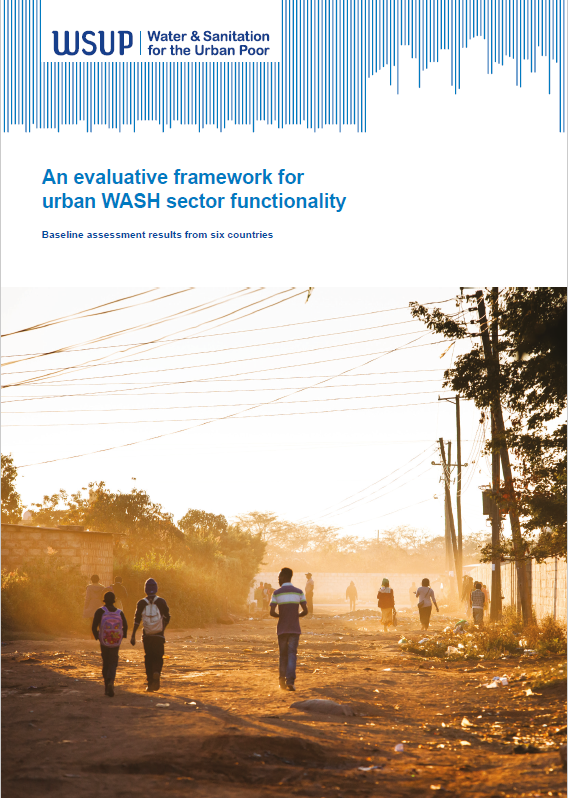 This publication presents the results of baseline urban WASH sector functionality assessments in WSUP’s six programme countries. We begin by outlining the rationale and process for creating a framework, the methodology and results from the baseline assessments, and concluding it by exploring potential applications of the framework. WSUP’s decision to develop a Sector Functionality Framework occurred in parallel with a wider shift towards system strengthening in the global WASH sector: away from a narrow focus on building taps and toilets, and towards an understanding of water and sanitation as a service, whose effectiveness depends on the wider enabling environment.